Whenever policyholders negotiate their Hurricane Michael insurance claim with their respective insurer, the most common outcomes are either their claim will be denied, or the insurance company will offer an amount that is not enough to cover their total losses and damages. While it may seem like the insurance companies are trying to rip you off, those outcomes are common when a geographic area suffers from widespread damage, and are even truer with complex commercial claims to hotels and businesses where processes to replace or repair damage can become quite complicated. Some of the reasons why this happens are inside claim adjusters who have never bothered to check the claim personally yet proceeds to deny certain parts of it, out-of-state adjusters who are not accustomed to local market, and overworked adjusters who overlooked certain damages and forgot to document everything. When there’s an increase in demand for building materials, construction workers, and roofers, the associated costs also increase. A supply and demand effect such as this will definitely have an impact on those who suffered from damages for quite some time. For property owners, an equally important cost-related issue is the vast difference between the prices quoted from local contractors and the claim adjuster’s computer-driven estimating system, in which the former’s total costs are much higher than what the latter says. Policyholders must be aware of this. It’s important to remember to never accept a low offer from their insurer or hire the services of an inferior contractor. Also, always make sure that fair market pricing is what’s used to price your insurance claim, not the computer estimating programs that are not in sync with actual marketing pricing. There are some insurance companies today that have managed their own repair work or opted to use vendor programs where they can negotiate discounts for all repair jobs. While both strategies are good for the insurance company and the contractor, it’s not in the best interest of the policyholder. There should be no shortcuts in your insurance contract and everything must be done by the insurance company to ensure that you are made whole and that your property is restored back to its normal condition. If you want what’s best for you, get independent quotes and ensure that you’re comfortable with the quality of the materials and workmanship. Additionally, we disapprove it when policyholders sign their claim monies over to a certain contractor with an assignment of benefit clause in their contract. To guarantee a smooth-sailing experience with your insurance claim and recovery, ensure that both the insurance company’s adjuster and your contractor are in complete agreement with every reconstruction plan and have all costs and agreements in writing. A “claim file” should be set-up with all of the important building damage estimates, correspondence letters, personal property losses, business property damage, and emails fully documented. Doing this ensures that your insurance claim will be managed efficiently. It will also be most helpful when the catastrophe adjuster goes back home and a new adjust gets assigned to you, a phenomenon which commonly occurs in widespread damage areas. Whether you do not know the limits to what you should be entitled to or you do not understand a single aspect of your insurance policy, you can always go against the claim offer by hiring a public adjuster. There are many licensed public adjusters out there who offer free claim reviews, including the ones at our company. For all of your questions related to your Hurricane Michael insurance claim, you can always talk to our insurance claim experts. Hurricane Michael was one of the most intense Atlantic hurricanes to ever make landfall in the United States of America, wreaking havoc on some states including Florida, Georgia, and North Carolina. From its formation on October 7, 2018 up to its dissipation on October 16 of the same year, Hurricane Michael had caused over $8.1 billion dollars in damages and claimed a total of 54 lives, putting many families in a difficult situation. Are you one of the unfortunate victims of Hurricane Michael? Fortunately for you, if your property is insured, then there’s a chance that you will be rightfully compensated for the damages that your property experienced, whether it’s residential or commercial. Most insurance companies, however, will make it very difficult for you to get your insurance claim. They either deny it, give you a lowball offer, or delay the entire claiming process. As a policyholder who is recovering from the effects of a traumatic natural disaster, you don’t deserve to be treated like that by the insurance companies. That’s why you should get a public adjuster – to help you get the most out of your insurance claim, minus the stress that usually goes with it. Insurance companies are notorious for playing hardball when it comes to the claims of their policyholders, even in the wake of a well-known disaster like Hurricane Michael. By getting a public adjuster to help you early on with your claim, an insurance company will know that you mean business and think twice before applying their shady tactics to you, which usually include delaying settlements and denying payments. Public adjusters are dedicated to serving the best interests of policyholders, not the insurance companies’, which is why hiring them to represent your claim is your best bet to getting a fair property insurance claim settlement. Of course, you can opt to manage your claim yourself, but don’t you think that it’s better to have an expert handle everything for you? With the help of a public adjuster, you will be getting a lot of free time that you can use to put your life back together. Time is something that is always expended during an insurance claim, as the entire process involves numerous steps that require a lot of energy and effort to do. Apart from the convenience in terms of time, a public adjuster is an expert when it comes to polishing your documentation and making it free of errors, which insurance companies typically use to deny even the most valid of claims. So, if you want to get the insurance settlement you rightfully deserve without having to go through the trouble of dealing with a hardhearted insurance company, then hire a public adjuster to smoothen out the entire process. The havoc that Hurricane Michael wreaked on your property is not fair, but your insurance settlement should be. Hurricane Irma Claim Denied or Still Pending? Two months have come and gone since Hurricane Irma graced the state of Florida with its presence. With the cost of damages climbing higher and higher as the numbers are being reported in, so are the number of claims being filed. If you were one of the unfortunate property owners affected by Hurricane Irma and have filed your claim, you may still be patiently waiting for your insurance company to get back to you. If they have gotten back to you and your claim was denied you might be wondering what to do next. Either way, you have options! Take an active role in the claims process by reaching out to a Public Adjuster to access your claim. Public adjusters become your advocates fighting on your behalf to secure the settlement you deserve. Experienced public adjusters are well versed in the language of insurance policies and are able to utilize their knowledge of how insurance companies operate to maximize your return. If you filed a claim due to Hurricane Irma and it was denied, it isn’t the end. You may still be entitled to the amount you filed for. A public adjuster can look over your denied claim and help you appeal the denial to recover the money you are entitled to. Insurance companies are concerned with their own profit margins. It’s time you had someone on your side. If your claim is not filed and still in the process or currently pending, having a professional look over your current claim can only aid you in your claim. Public adjusters are able to find mistakes or omissions that would have otherwise decreased the amount you would have gotten back. Hiring a public adjuster will make certain that your claim is a true portrayal of the damages and losses incurred. Hurricane Irma has traversed the length of Florida and The Florida Keys sustained major damage. With an estimated 100 billion dollars in damages, Floridians are scrambling to recover quickly so that they may go back to their normal way of life. 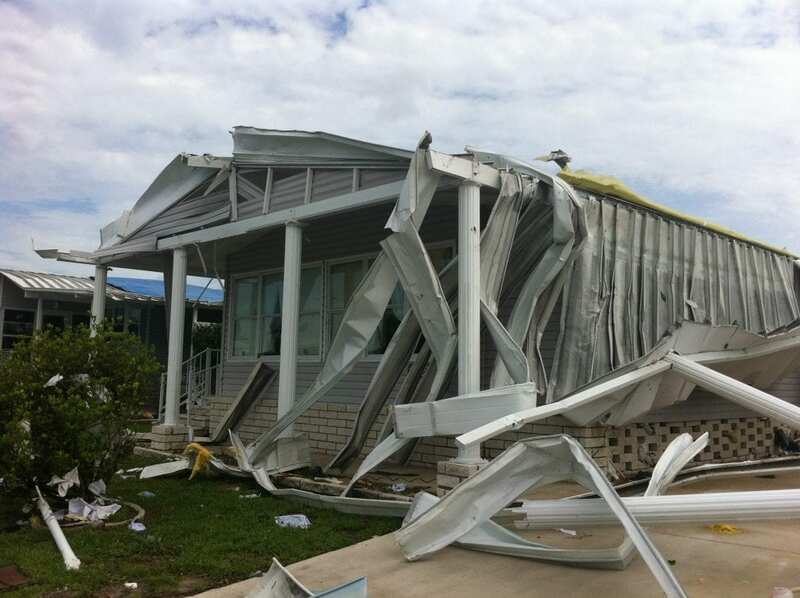 If you live between Key West and Marathon, FL it is important to move quickly with the rebuilding process. Here are a few steps you can take to streamline the process and recuperate quicker. Call your insurance company and notify them that you will be submitting a claim. Giving them a heads up before submission can help you accumulate information that you may need throughout the claims process such as a deadline for submission or specific procedures that they will need you to follow. Procedures should be laid out in your policy, but speaking to a representative can help clear up any steps you are unsure on. To submit your claim you will need to document all of the damage incurred during Hurricane Irma. Take pictures and notes of the damage dealt to the property and personal belongings. After Hurricane Irma, there is a reported shortage of insurance adjusters. Insurance adjusters are being spread thin in an uphill battle to get a handle on the mass amounts of claims trying to be submitted. To this end, insurance adjusters are not always fighting for the insured to receive a fair payout from their insurance companies. 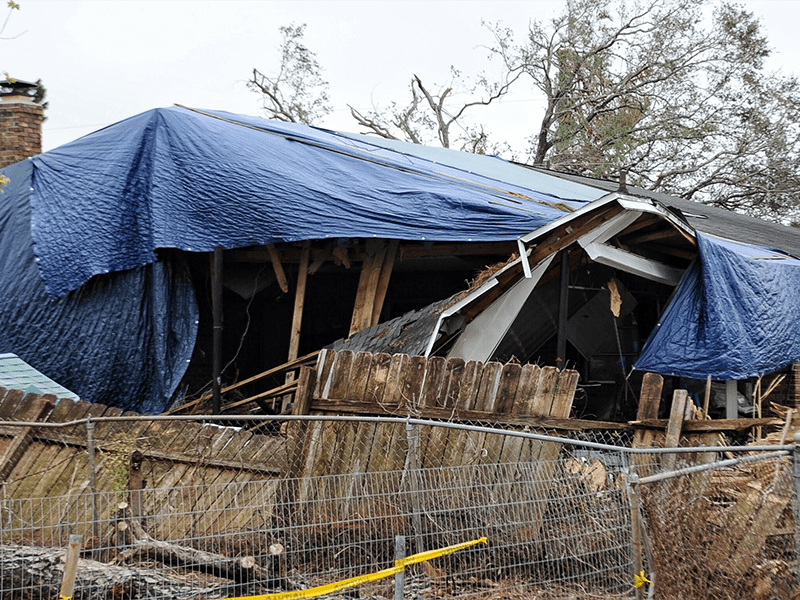 This is where a public adjuster becomes not only a viable, but necessary option. By allowing a trusted public adjuster to not only fight on your behalf, but also handle the time consuming process of filing a claim, you are giving yourself your best chance at getting everything owed to you. Experienced companies like Accredited Public Adjusters, LLC understand the verbiage of your insurance policy and will utilize that knowledge in helping you file for varying types of damages that come with a hurricane. Wind, water, flood, and tornado are all damages that can occur and need to be differentiated and documented differently. Without the skills to do so, claims can be denied or underpaid, leaving the insured to bear the remaining costs. For those that missed several of my last poste, here you are.